After a long hiatus from their international touring the Chvatal/Kritzer Duo reunites for their first Portland performance in over eight seasons. 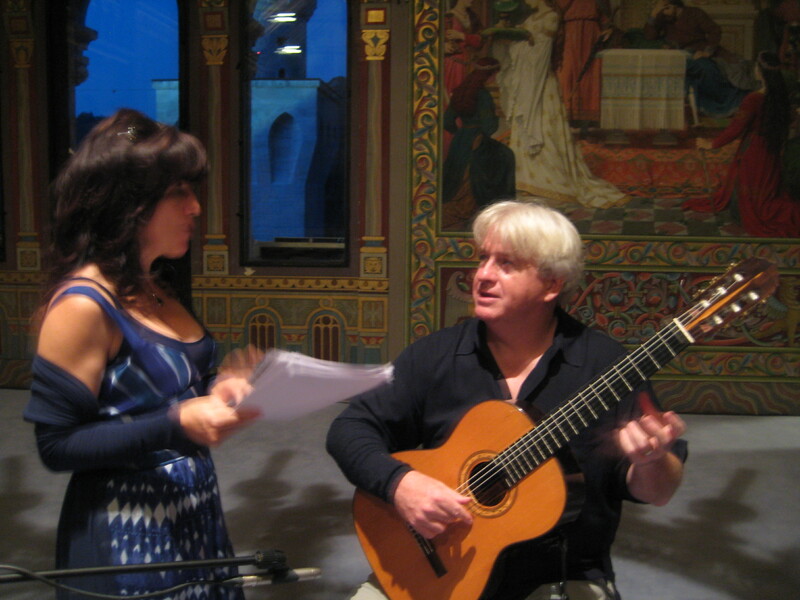 Scott Kritzer teams up with coloratura soprano Janet Chvatal and special guest baritone Marc Gremm for a concert of romantic arrangements for voice and guitar at Portland State’s Lincoln Hall Auditorium located at 1620 SW Park Avenue on Thursday, October 11th at 7:30 pm. The Portland concert features the transformation from duo to trio (to be officially named later as ‘The Miramont Trio’) with the addition of baritone Marc Gremm. Featured on the program will be works from the Chvatal/Kritzer Duo’s popular Songs of the Americas and In the Blue Hour recordings, as well as fresh arrangements of works by Franz Schubert, W.A. Mozart, and the Bach/Gounod Ave Maria. Tickets are $25 General Admission, $20 Seniors, and $17 Students, and can be purchased at Ticketmaster or by calling the PSU Box office at 503-725-3307. For more information you can go to Portland State University Box Office. 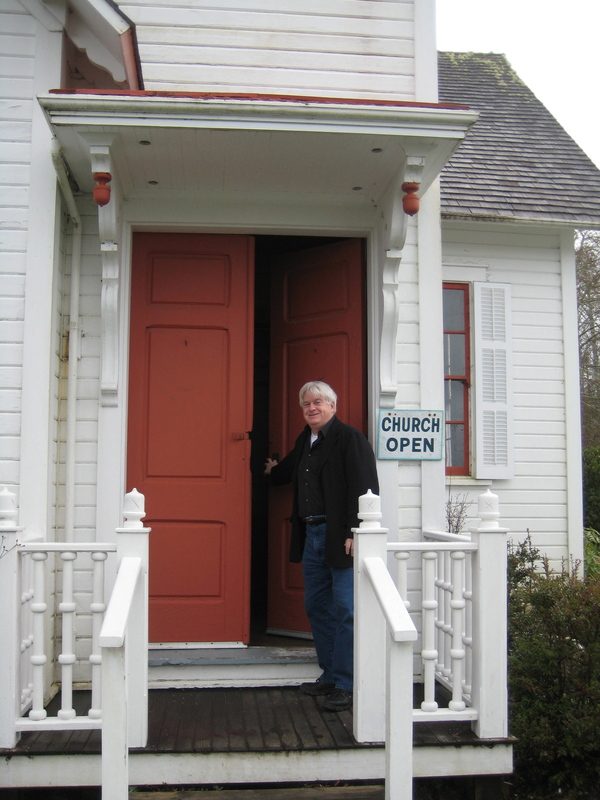 To hear some of the music that will appear on these programs, you can to go LISTEN. 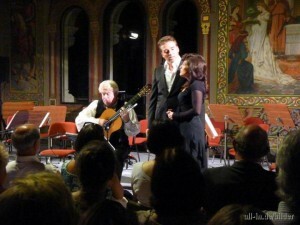 The transformation of the Chvatal/Kritzer Duo to the Miramont Trio found its roots in last summer’s performances at the Neuschwanstien Castle where Janet, Marc and Scott performed together for the first time. For the story you can go to Neuschwanstein or watch the Neuschwanstein Castle Performance 2011 Slide Show. Below you’ll find a detailed listing of other Pacific Northwest dates and ticket information for the Chvatal/Kritzer’s and Scott Kritzer’s performances in the month of October! Tickets can be purchased by calling 541 994 5600. For more information please go to the Freed Gallery. The Miramont Trio makes its Portland debut in PSU’s Lincoln Hall Auditorium, 16 years after the Chvatal/Kritzer Duo Portland debut. Tickets are $25 General Admission, $20 Seniors, and $17 Students, and can be purchased by at Ticketmaster or by calling the PSU Box office at 503-725-3307. For more information please go to the Water Music Festival. Baroque harpsichordists/lutenists (Froberger, Couperin, Gaultier, and Dufault); the Passacaglia and Sonata in Eminor by Sylvius Leopold Weiss; and the Prelude and Fugue BWV 539a and First Cello Suite by JS Bach. 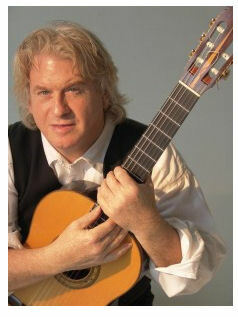 In Mr. Kritzer’s Carnegie Recital Hall debut, Bernard Holland of the New York Times stated that “Scott Kritzer created an inner life in his playing of Bach“. This entry was posted in Concerts and Events and tagged classical guitar, guitar concerts, Janet Chvatal, Miramont, scott kritzer, Voice and Guitar. Bookmark the permalink. Yes Robert – I’ll hold two for you at Will Call. See you on the 11th and safe travels!